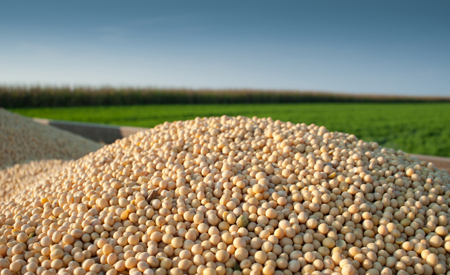 (Reuters) – The Chinese state agricultural conglomerate COFCO Group recently purchased a batch of soybeans amounting to “millions of tonnes” from the United States, it said in a notice on Saturday. The purchase was part of the company’s efforts to implement a “consensus” on trade agreed between China and the United States, it said in a notice on its website. Soybeans have been a crucial element in simmering trade tensions between the two countries. China – the world’s biggest soybean importer – cut off purchases from the United States in 2018, sending prices tumbling and leaving U.S. farmers struggling to sell off their record harvest.